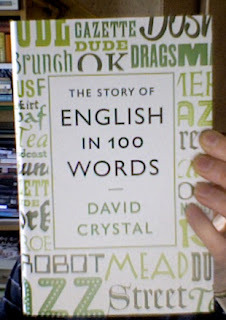 I gave Professor David Crystal a selection of questions in connection with his latest book The Story of English in 100 Words, and asked him to choose seven to answer for this interview. He has been kind enough to send me these - together with his answers to the general questions I ask everyone. Clare Dudman: Do you have a favourite word? If so what is it and why. 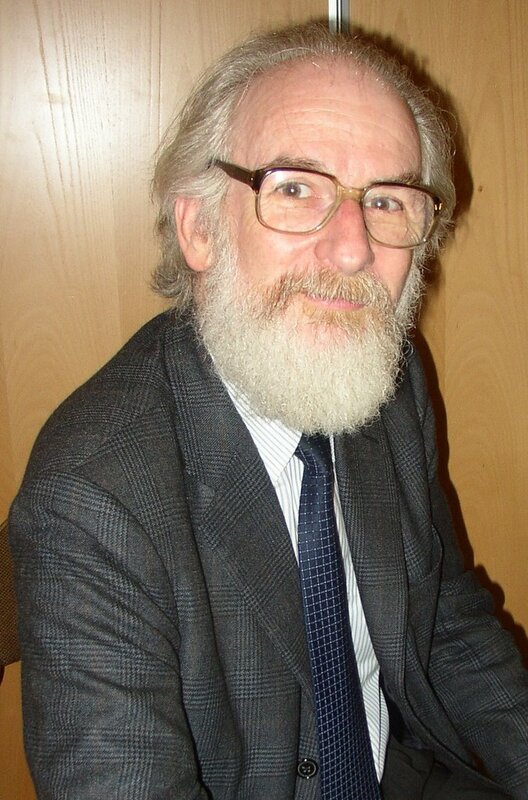 David Crystal: That's like asking 'Do you have a favourite child?'. No, I love them all equally. Each word has a unique history and use, and is just as fascinating as any other. Every now and then a new word arrives that is so original that it draws attention to itself, so I suppose it's temporarily a favourite. 'Twitterrhoea' is a current example - what someone who tweets too much is suffering from. CD: Is there a word you dislike or would never use? Why? DC: See above. There are of course offensive words that I would never use, except as part of linguistic study. Racially insulting words, for example. But I don't react to words in the way some people do, when they say such things as 'I can't stand the word such-and-such'. CD: How did you become interested in the English Language? DC: By being introduced to it as an undergraduate at University College London, where I read English and was much inspired by Randolph Quirk. I'd been interested in languages as long as I can remember, which is why I opted for a degree course which had a strong language component in it, but I didn't appreciate what was involved until I encountered the range of the subject there. CD: Do you think living in a Welsh-speaking part of Wales give you a different outlook on the English language? Are there any advantages or disadvantages to living where you do? DC: Growing up in a bilingual area sharpens your curiosity about language and languages, and I am sure this was an important factor in my becoming a linguist, in the broad sense of someone who does linguistic research. My main field is English, but I have also been much involved in more general linguistic topics, such as language endangerment and death. Living in Wales has been immensely helpful in relation to that topic, as one experiences the issues at first hand. The only disadvantage I can think of, living in Holyhead, is the amount of time I have to spend travelling to get to venues and airports! CD: What, would you say, is the best feature of the English Language? DC: The word 'best' makes no sense to me when talking about languages, any more than a doctor could make sense of the question 'What's the best feature of malaria?'. If you replace 'best' by 'distinctive', then I can answer it. Each language has its distinctive features. Each is unique. For English, I would cite its global character, which gives it a fascinating dialectal diversity, and its kaleidoscopic vocabulary, arising out of its thousand-year history. DC: See above. Languages don't have best and worst features. They are what they are. The world is a mosaic of languages, each expressing an individual vision of what it means to be human, and each having its own validity. From a linguistic point of view, languages (and their features) aren't better or worse than each other. They are simply different, and equally fascinating. CD: Have you ever invented a word? If so, what was it? DC: I often invent words. We all do when we need to say something a little unusual. Think of all the words to which the 'un-' prefix could be added, for example - 'unWelsh', 'unspooky', 'unphoneable'... 'Unriotlike', I heard the other day. Most of these will never get into a dictionary: they are nonce-words, created to express a 'thought of the moment'. But I must say that some such creations do deserve to have a permanent place in the language, and my favourite here is the one I discuss in '100 Words': 'bagonise', to express the feelings one has when waiting for one's luggage to arrive on an airport carousel. DC: Apart from the occasional garden moment, my only encounter with snails has been etymological. I love some of the old words which have derived from 'snail', such as 'snailery' (a place where snails are bred or eaten) and 'snail-horn' (for a snail-shell). And I'm impressed by the way 'snail-mail' has caught on. DC: I don't think of my own life in these terms. I feel proudest when my kids do something really special, as they all have, from time to time. DC: Without a doubt, deciding to leave the full-time academic life something that happened in 1984 - in order to make it possible to develop as a writer. DC: The death of my third child. DC: An uninteresting thought, when there is still so much I would like to do with what I've already got. DC: If I'm at home, make the tea. If I'm travelling, drink the tea someone else has made.